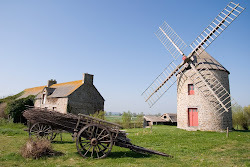 A Vintage Domestic Chemist: Summer in France means one thing...picnics! 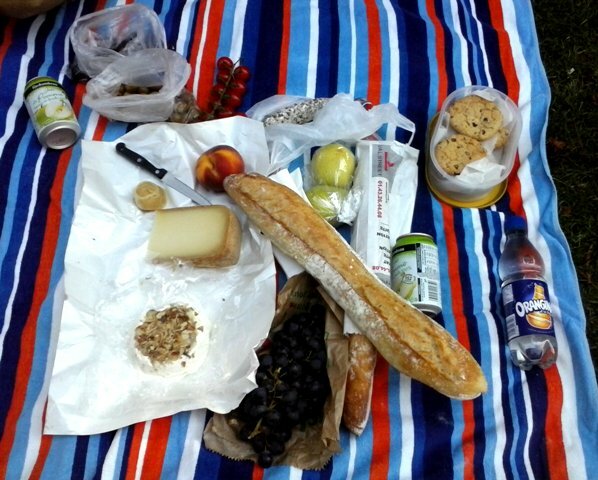 Summer in France means one thing...picnics! As the title above states, a picnic with friends is the best bit about summer. 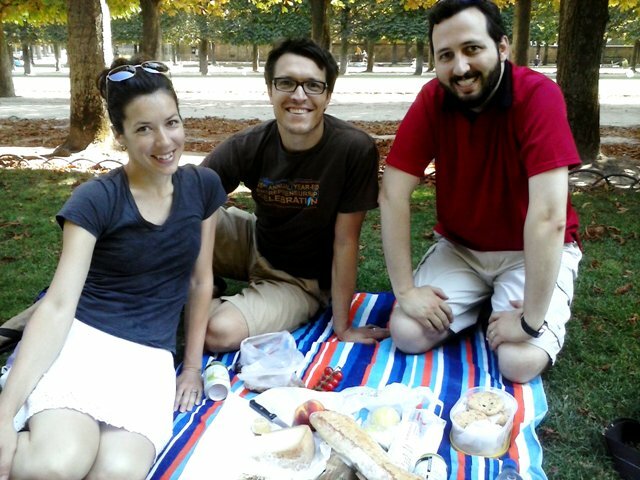 We had the great opportunity to go for a picnic lunch in Paris last Saturday with some friends, S & J. It started off with meeting up at the Port Royal Metro stop to walk along the Port Royal market. What lovely and tasty treats to behold! Melons and strawberries and groseille (red currant), tapanade and pitas and spices, cheese and sausages and honey, oh my! Armed with cheese (a chevre with roasted shallots, a petit brebis, plus a little dried chevre thrown in for free), a Wild Boar dried sausage, grapes, olives, and tomatoes, we went off in search of bread. A picnic is not complete unless you have a baguette or two! In the summer in France, bakeries will take month long vacations, so trying to find a bakery that is a) open and b) open on a Saturday was difficult to say the least. We tried three before finding the one to rule them all! Miammmm...."baguette tradition" is my favorite type of bread here. S and J then took us to Luxembourg Gardens (which is really just a short walk away from Port Royal) where we looked for the "allowed lawn-sitting" sign to set up camp. Note: Some lawns you are not allowed on. Just check for the signs. And we were even allowed to borrow the cheese monger's knife, provided we returned it before she left at 2pm. We thought that was pretty awesome, considering she didn't even know us. I managed to get one shot of the party before we all began the feast. After our delicious lunch, we returned the knife and walked around a bit. S and J live nearby so we got a chance to see their cosy home and adorable two kitties. Then they took us on a tour of their "village" neighborhood. Really a small town feel in the middle of Paris. Their neighborhood even had a honey store! How cool is that? Of course, S and I had to go in and sample some great flavors. The choices were incredible. I had never seen so many different types! 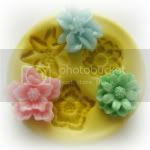 Mandarin, lemon, rosemary, eucalyptus, linden, chestnut, pine, rose, you name it! I got a "lavande sauvage," or wild lavander honey with a couple others. It tasted just like you would think it would, sweet with a hint of lavander. I was happy. We all stopped for a cup of coffee afterward as it was just very wam that day. (I know, I know. Coffee on a hot day? Am I crazy? And, the answer is, nope. It's what you do and it's good because you get to sit in a shady spot for as long as you like.) The server was so nice. He brought us a large carafe of cold water and glasses for everyone without us having to ask. Sadly, it was time to go. But not before we were shown a great place to have Pays-Bas dinners served in large individual bowls. 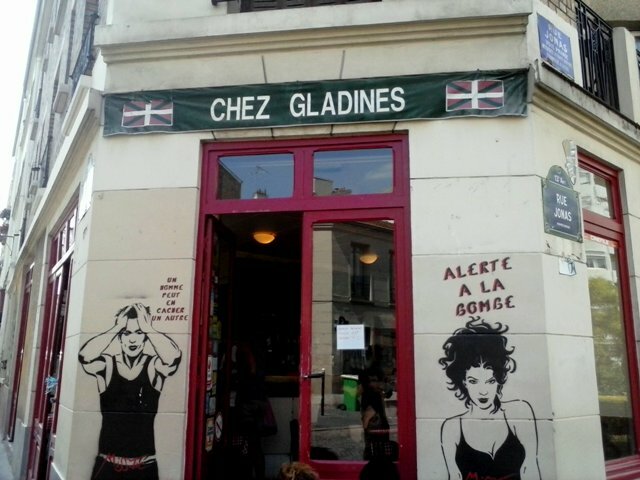 On the corner of Rue des Cinq Diamants and Rue Jonas, is a nice restaurant called Chez Gladines. It comes highly recommended from our friends. Plus it has cool wall art from a female artiste, who goes by the name of Misstic. And thus ended our wonderful day out with friends. Thank you, S and J, for being our guides!